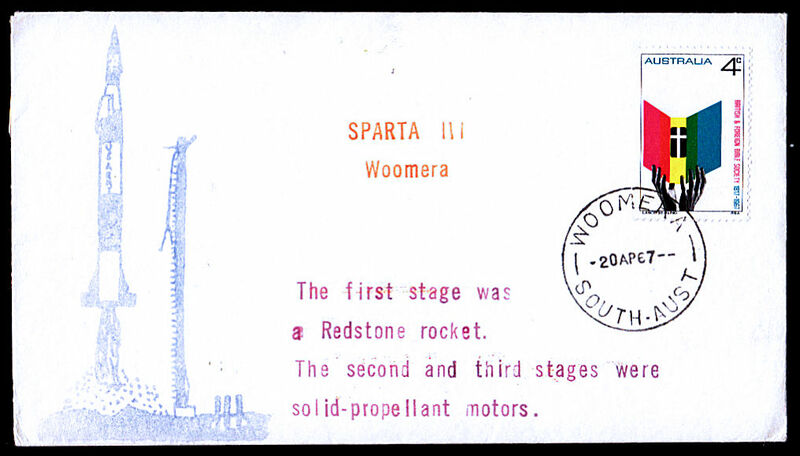 This table represents event covers released for the SPARTA series of rocket launches from the Woomera Rocket Range, South Australia. 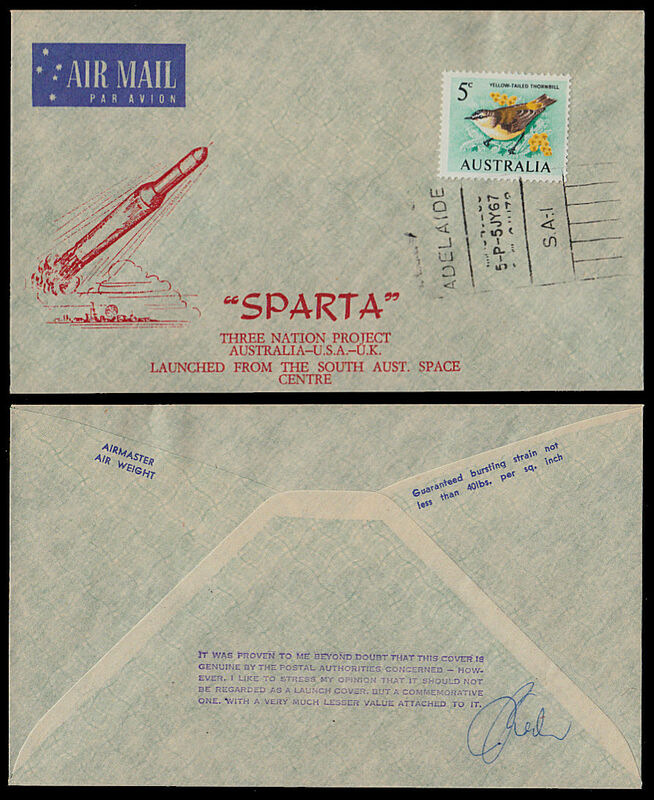 There two types of covers. 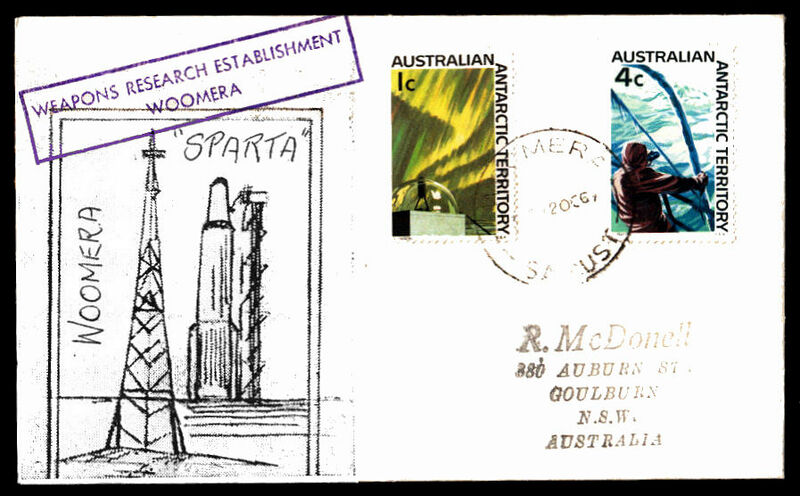 Commemorative covers with an Adelaide postmark and launch covers with a Woomera postmark. 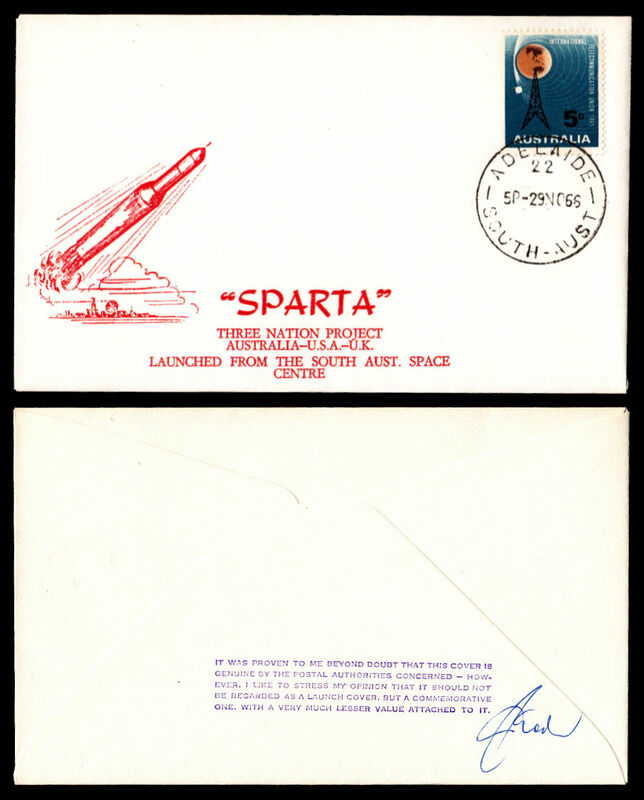 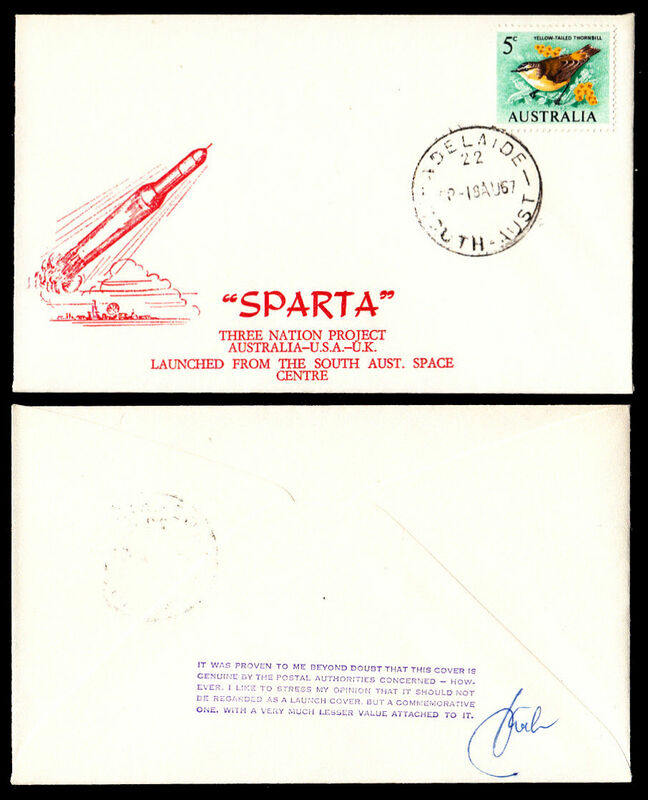 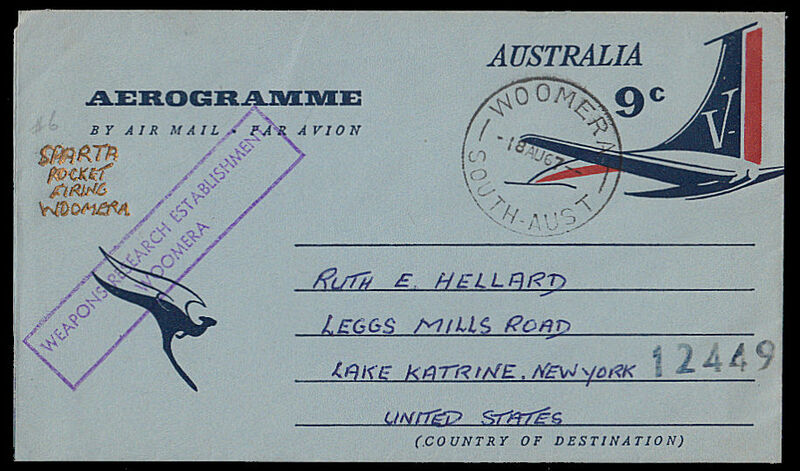 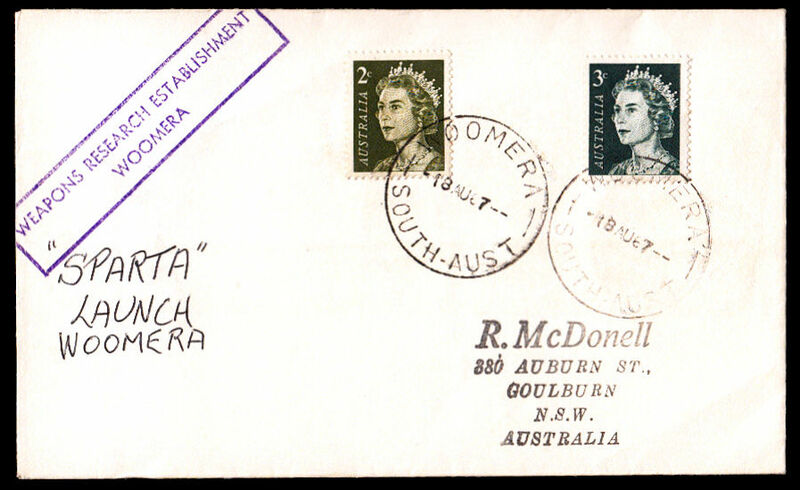 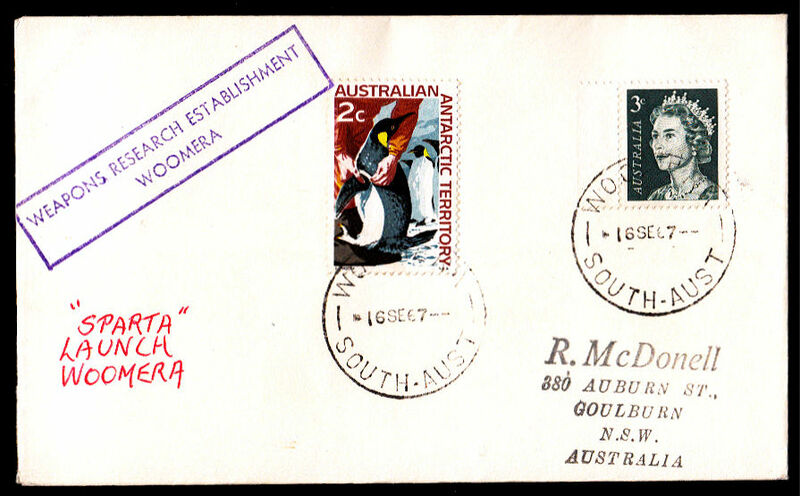 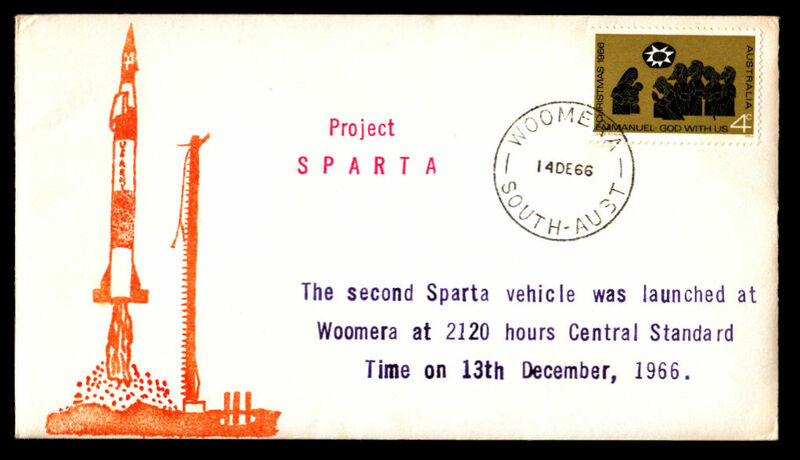 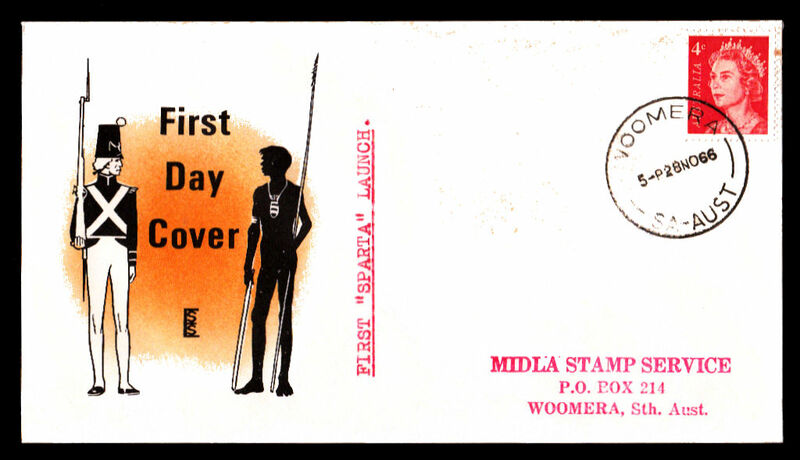 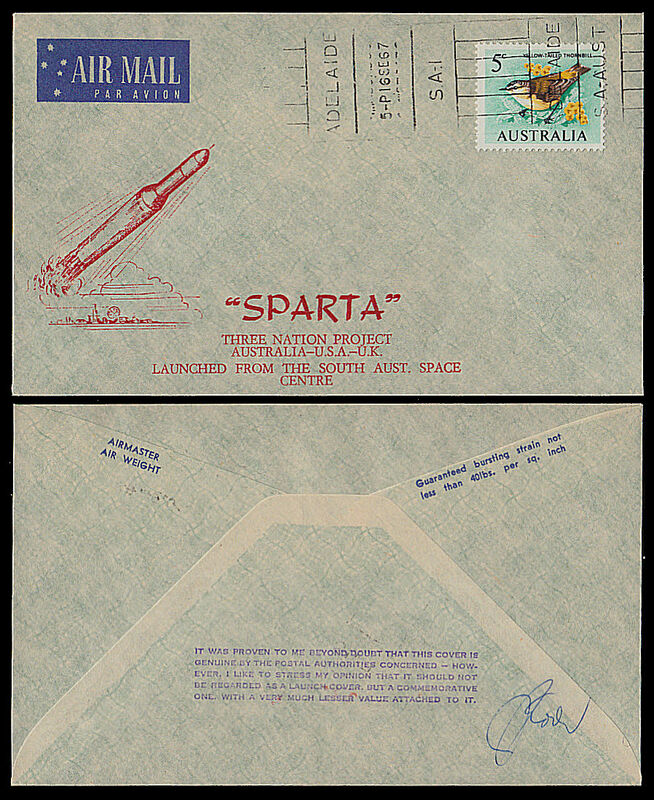 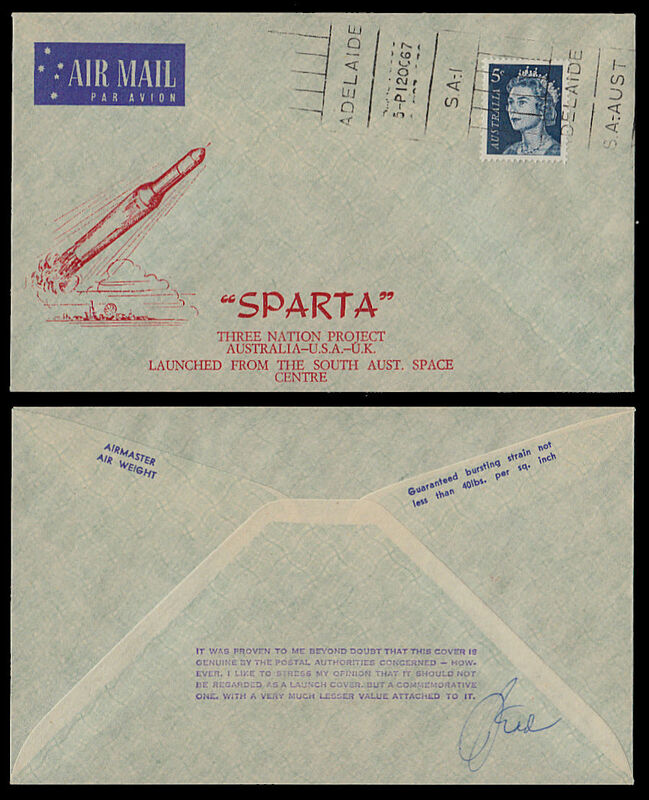 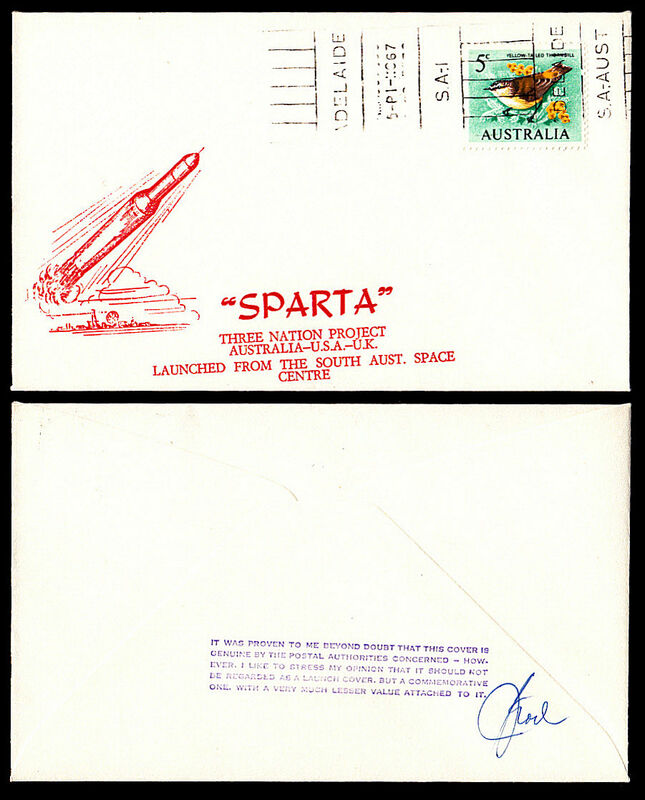 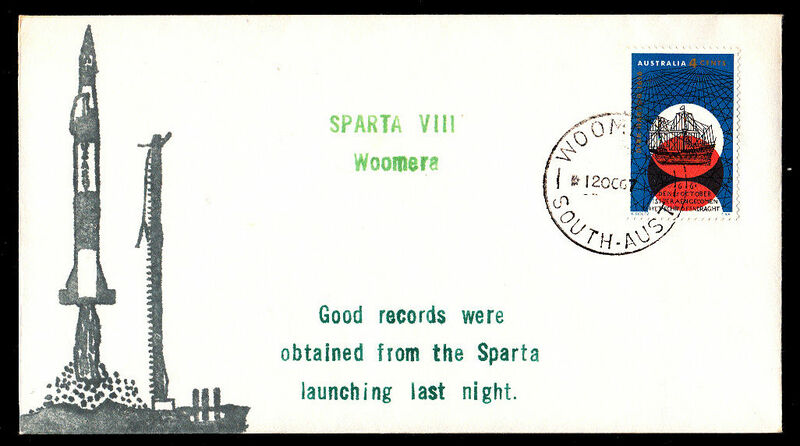 Covers with a Woomera are amoungst the rarest of a;; Australian launch covers and quite valuable with covers with an Adelaide postmark are much less valuable.